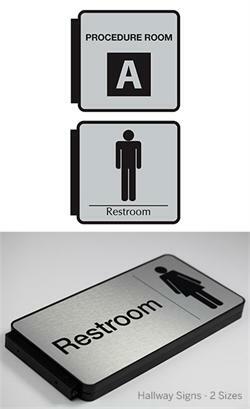 Two-sided easy-mount laser engraved corridor signs with anodized aluminum brackets. 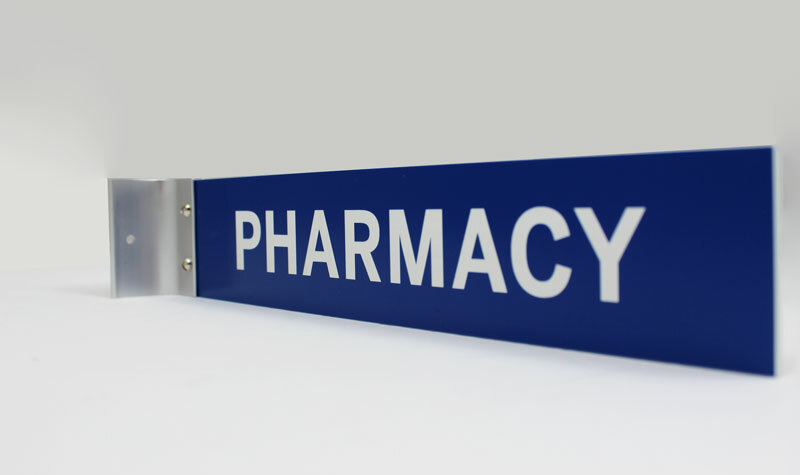 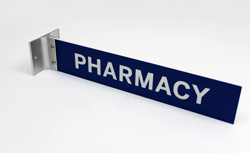 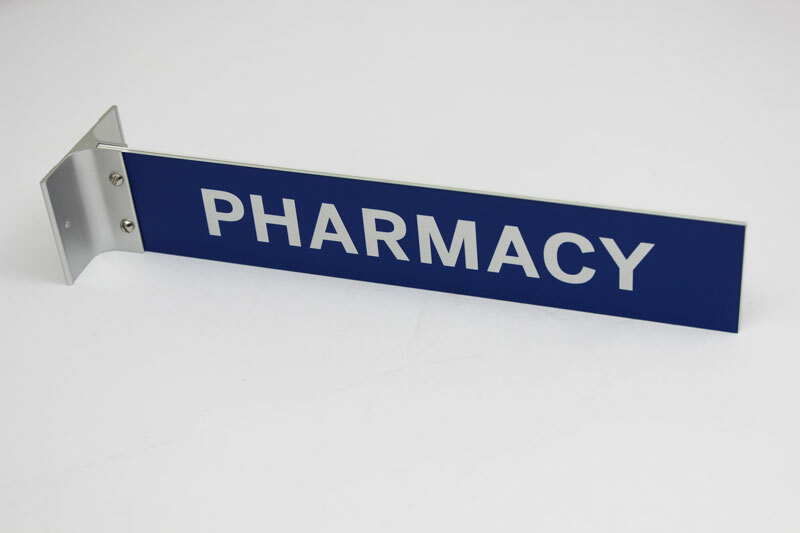 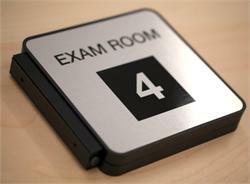 Great directional signage for hospitals, clinics, schools, offices or any other professional setting. 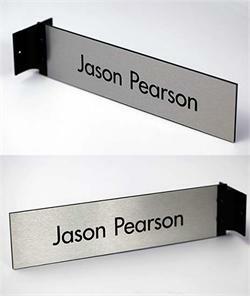 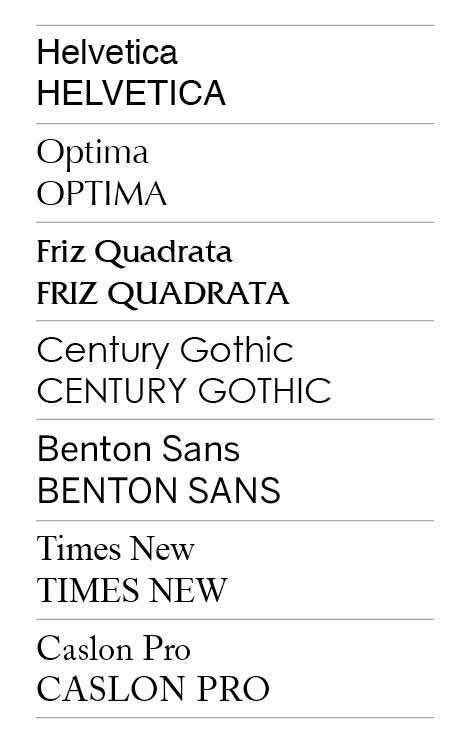 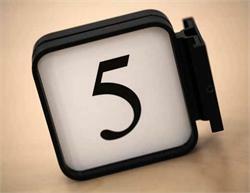 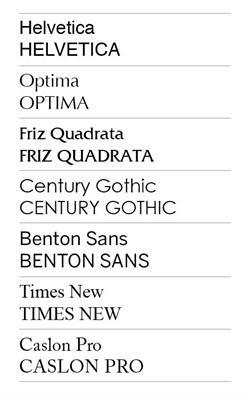 Include your custom text, logo or a specific design you send us at no additional charge. 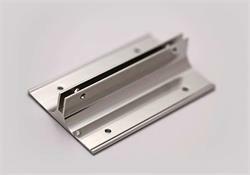 Standard bracket heights available are 2"H, 4"H, 5"H and 10"H. Custom sizes available by request. Sign bracket includes mounting holes for mounting to your walls. 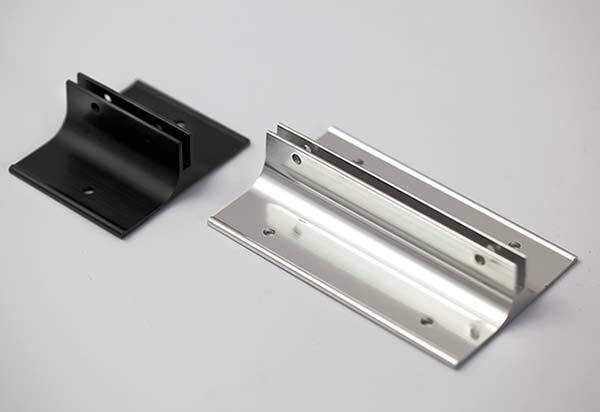 Aluminum brackets are available in polished silver, satin silver and black. Gold brackets available upon request and require additional fabrication time. 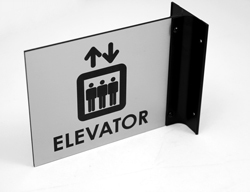 Unlimited sign size options--choose from suggested sizes on this page or inquire about custom sizing. 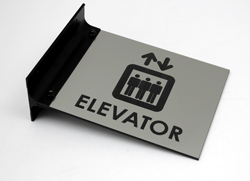 Includes mounting bracket and custom personalized sign (2-sided). 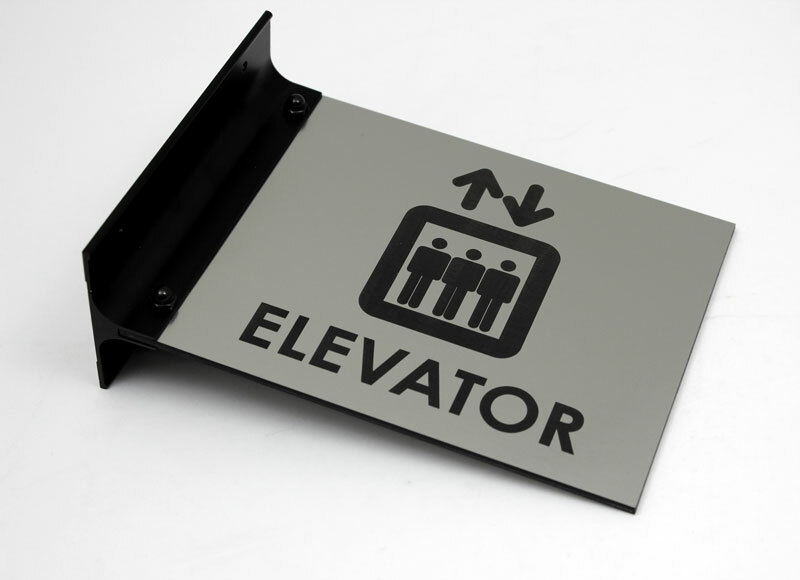 If you require assistance, please contact us at (701) 526-3835 or service@officesigncompany.com with all of your details or layout instructions.We have a talented team of layout artists on staff who would be happy to send you a digital proof.